The latest catalogue from Simon and Schuster gives us some blurbs and early cover designs for this year's batch of new movie continuity novels. 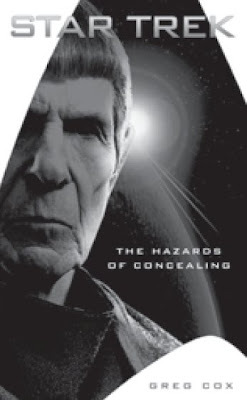 Christopher L Bennett and David Mack have already commented on the TrekBBS that the blurbs for their books are not particularly accurate, and Greg Cox has noted the title of his book is The Hazard of Concealing (rather than Hazards). 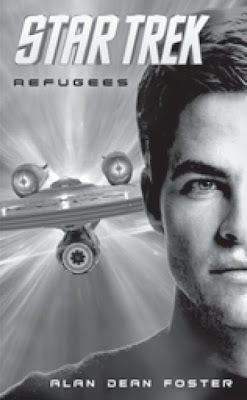 In this new novel from the New York Times bestselling author of the Star Trek movie tie-in, Captain Kirk and the crew of the Enterprise must decide if a group of refugees are actually a menace—or just misunderstood. 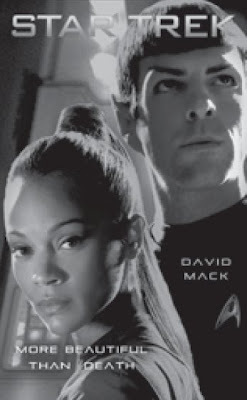 An all-new adventure featuring the new Enterprise crew on a mission to broker a Federation trade agreement, from critically acclaimed Star Trek author David Mack. 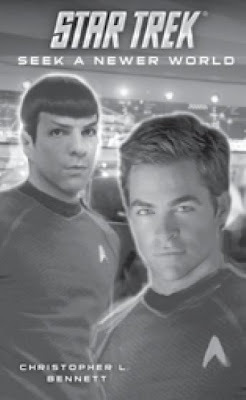 An all-new adventure featuring the new Enterprise crew—from New York Times bestselling author Greg Cox. The events of the recent movie have left one important loose end: the elder Spock from the 24th century. His knowledge of both technology and future events makes him one of the most important strategic assets in the galaxy. Starfleet Command wants Ambassador Spock to rejoin Starfleet and share that information with them, but Spock is reluctant to interfere with the unfolding of the new timeline. Will he be able to escape a sinister plan wrought by the enemies of the Federation, or will their quest to exploit Spock’s wisdom succeed, with disastrous consequences?